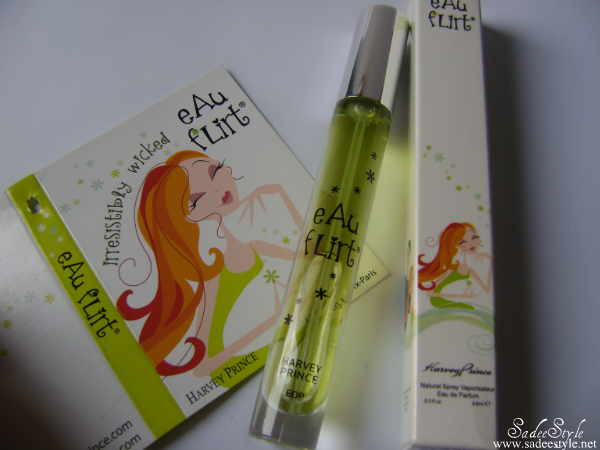 Adorable packaging along gorgeous style bottle, Harvey Prince launched Eau Flirt that is classified as refreshing, fruity and flowery fragrance. This fragrance features Ylang Ylang and Lavender extract. Other notes include Pumpkin Pie, Citrus, Jasmine, Freesia, Nutmeg, Cinnamon, Ambers and Nutmeg. This is the second time Harvey princes has featured on my blog. Recently, I wrote a review for Ageless perfume and that was quite strong for me. 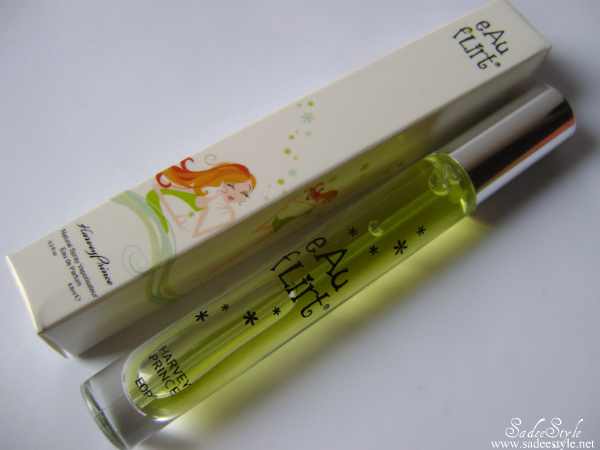 So, this time I am reviewing Eau flirt, the company describes it as ''The magical scent that flirts for you. It's warm, tempting notes of pumpkin pie & lavender are irresistible.'' and it comes in different sizes, the one I got is 8.8ml bottle available in 26 dollars. it seems soo good! :) Kisses! I love anything in adorable girly packaging:)I strictly use floral/fruity fragrances..really want to smell this one since your description tells its the kind of perfume I'd love! i really like the design of the package!